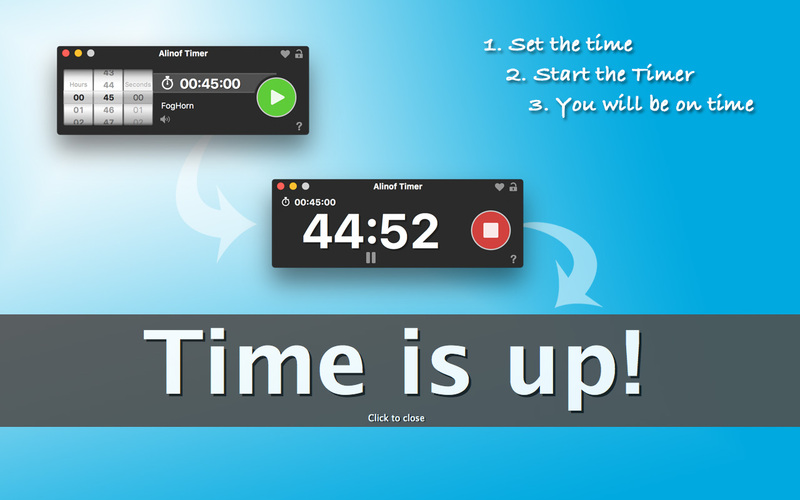 Alinof Timer is extremely simple to use. Just set the desired time using the mouse scroll and press «start». 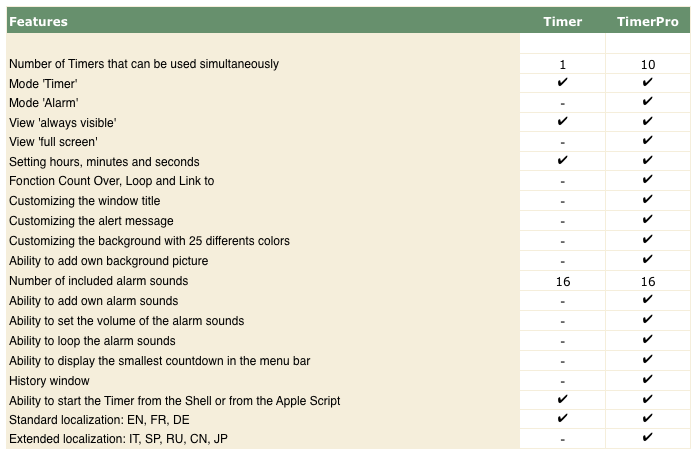 Once the time has elapsed, a message with a sound alarm will be displayed on the screen. The Timer can also be started with a command from the Terminal or from the AppleScript. The start options or arguments must be enclosed in  and separated by commas ","
-> [Option1, Option2, Option3, Option4]. 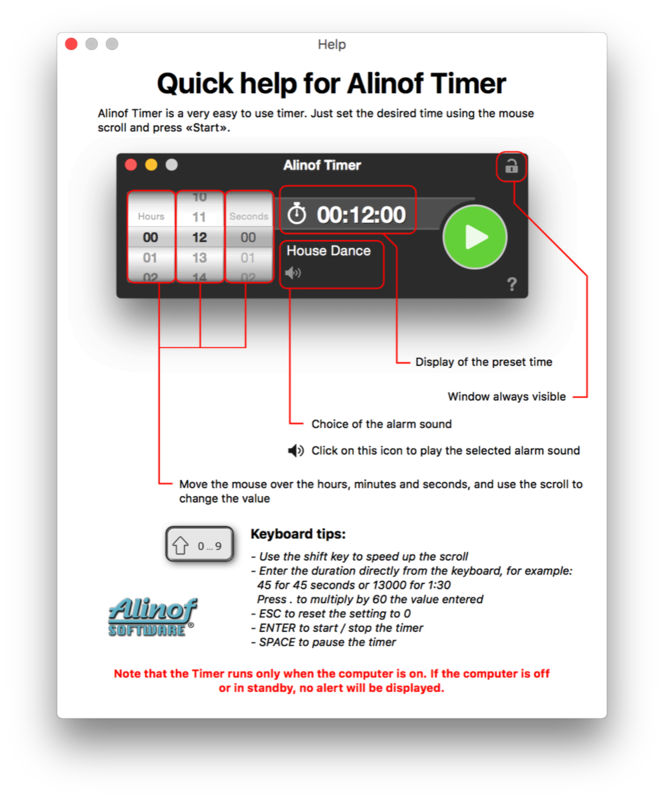 do shell script "/Applications/'Alinof Timer.app'/Contents/MacOS/'Alinof Timer' [SetHours=00, SetMinutes=32, SetSeconds=00, Start]"
This function can only be used at the start of the Timer, if the Timer is already started you need to close it before you can use again this option. This app is free, we developed it to promote our products. With Alinof Software free does not mean poor quality or unsafe! Unlike other companies, we do not include any advertising in our app and do not collect any information. 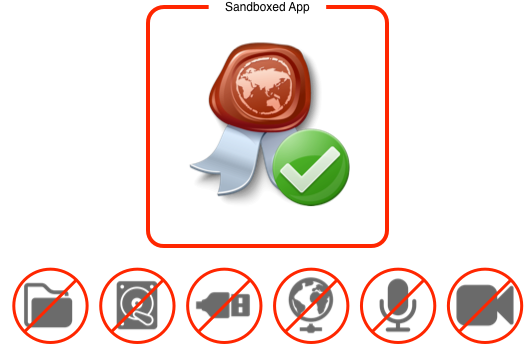 Our free apps are also signed by an Apple certificate and are sandboxed. This means that this application has no access to your documents, system resources, connected devices, networks, Internet, microphone and either the camera. This information below refers only to software downloaded from this site, apps purchased from the Mac App Store are installed automatically. Our software comes with a signed installer, for macOS as a .pkg file and under Windows a Setup.exe, for installation, simply start the installation program and follow the instructions on the screen. The software is saved in the 'Application' folder for macOS and under 'Program Files' for Windows. If you want to delete the software just move it in the trash. Windows users also have the option of removing it via the uninstall app located in the software folder. Windows is a registered trademark of Microsoft Corporation in the United States and other countries. Macintosh is a trademark of Apple Inc., registered in the U.S. and other countries.